Whether you are looking to build an outdoor dream area or dress up an existing patio, plan ahead. A design with utilising the perfect amount of M2 can make the difference between an elegant area and an awkward area. Don’t worry if planning or Designing your Garden is becoming frustrating as we are there to help. Consider what you’ll use your deck for and size it to fit your needs. No decking material is completely maintenance free, so making a deck too big will mean spending time maintaining space you don’t use. Don’t forget the space under your deck, either. Depending on how elevated the deck is, the space underneath can serve as storage. 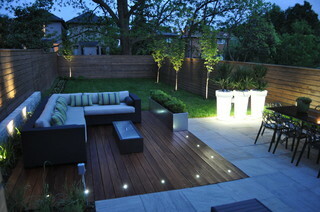 A full Garden Design with a new Decked area and a new lawn adds a striking impact on your property immediately. Everybody has a budget that they are looking to go to without getting into debt. We at Lee Charles Landscapes can help you achieve creating your dream garden whilst keeping within your budget. Lee Charles Building & Landscaping designed and built our new deck area, which included lighting, the same level patio area. It was a pleasure working with Lee and his team from the initial appointment & design to completion of the project. His team was professional, timely and the project was completed on budget. 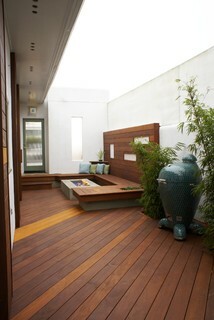 We love our deck and would recommend Lee & Reg to others. 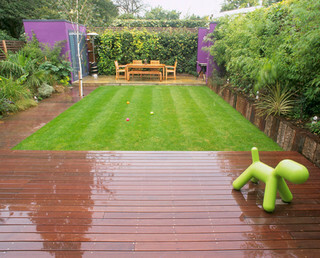 Below are a few more Decking Ideas that can make your Garden look just that bit more special. We design, plan and build high quality outdoor wood structures. 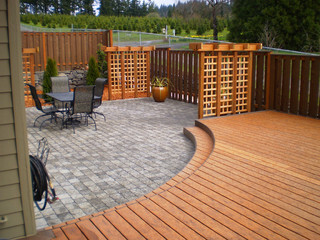 We are here to help you make the right choices in design and materials so building the deck of your dreams comes easy.